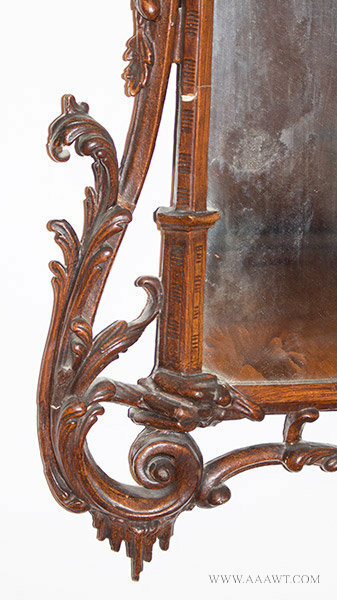 Scrolled and pierced cresting centering a carved, pierced and gilded leafy device; molded and gilt-incised liner; similarly shaped and scrolled lower pendant. 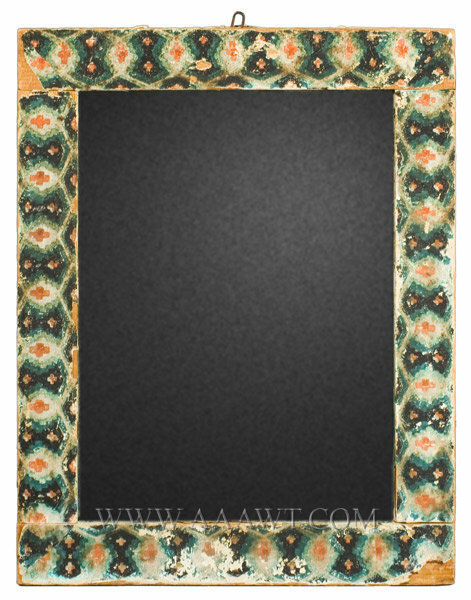 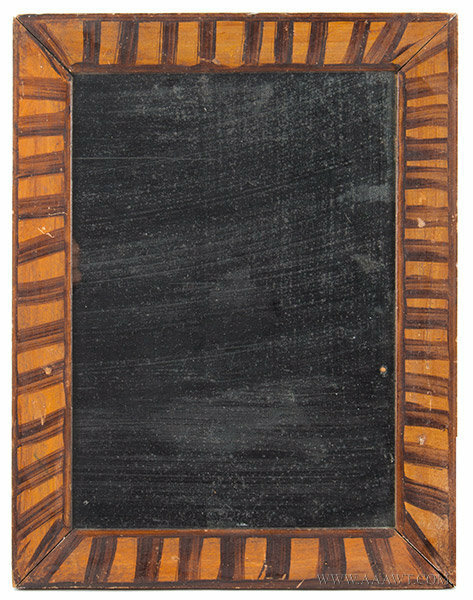 Fine combing over hardwood veneered frame, repurposed as mirror. 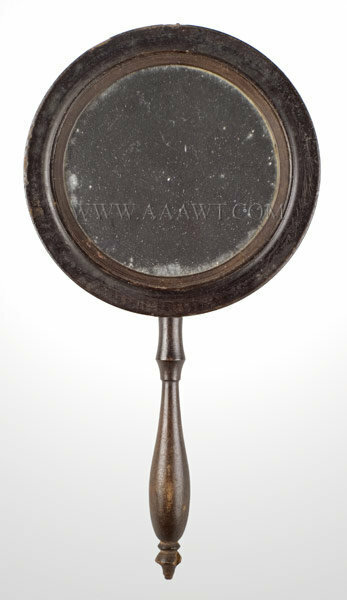 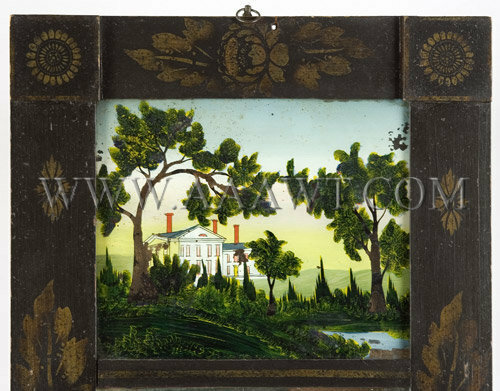 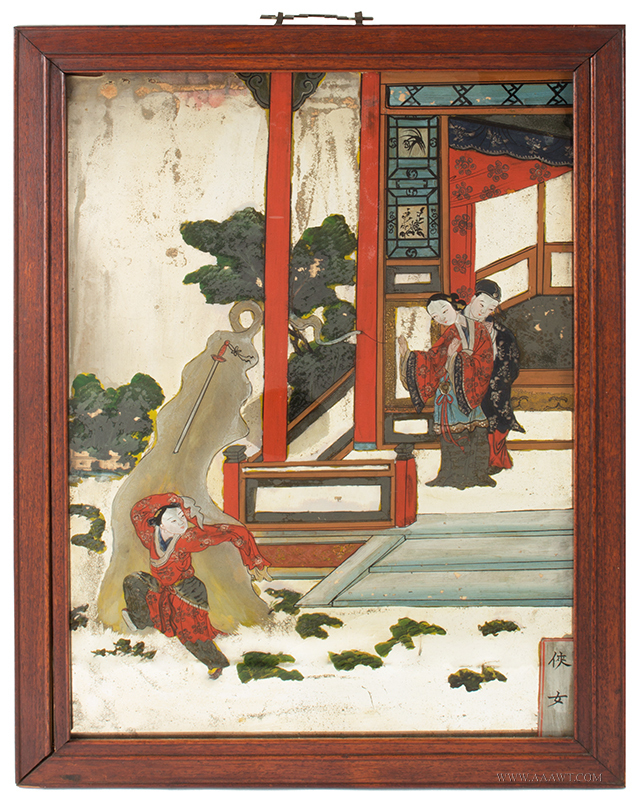 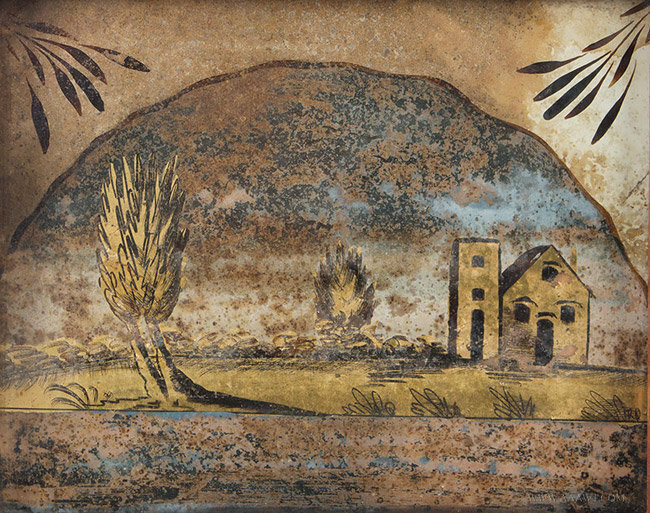 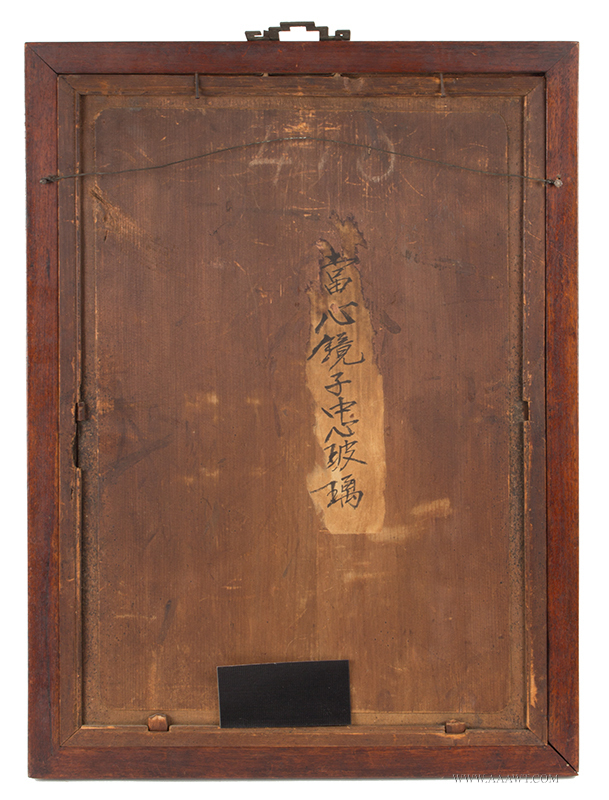 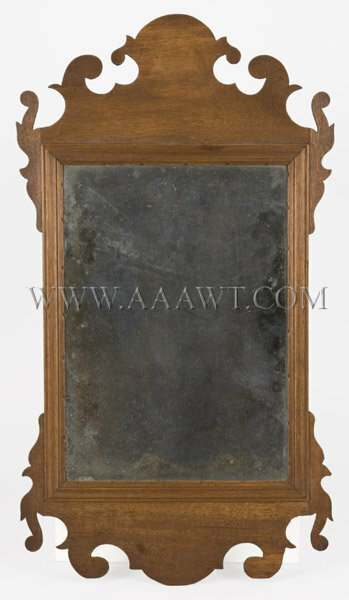 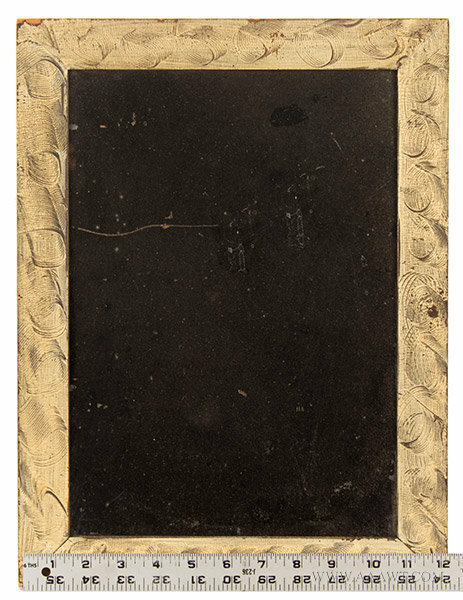 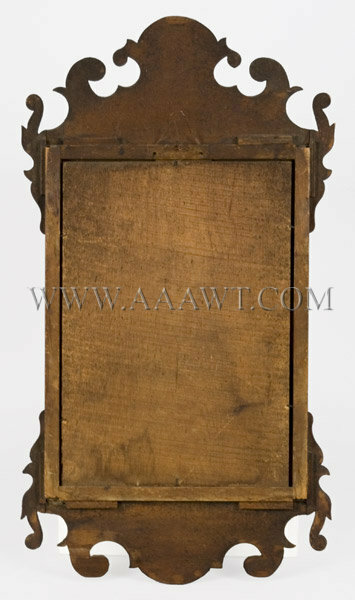 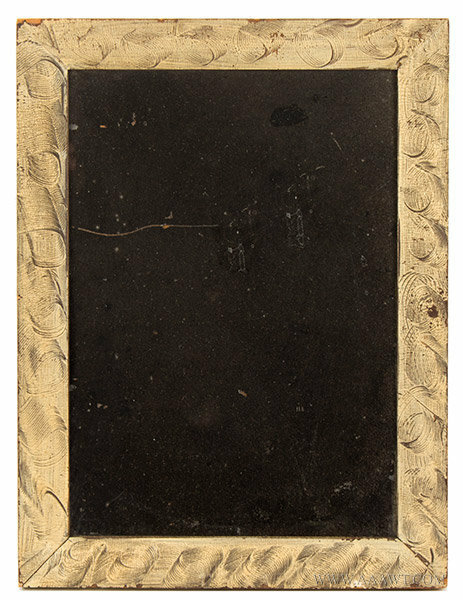 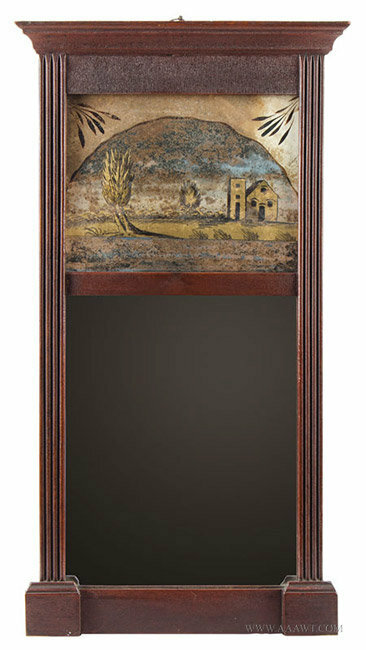 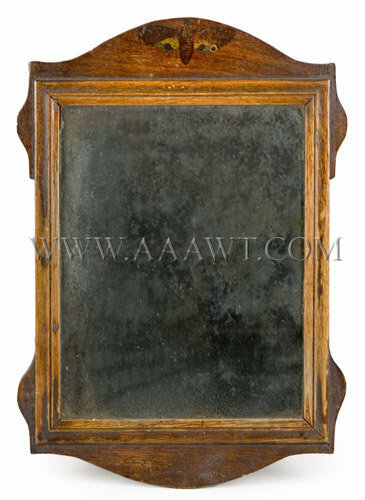 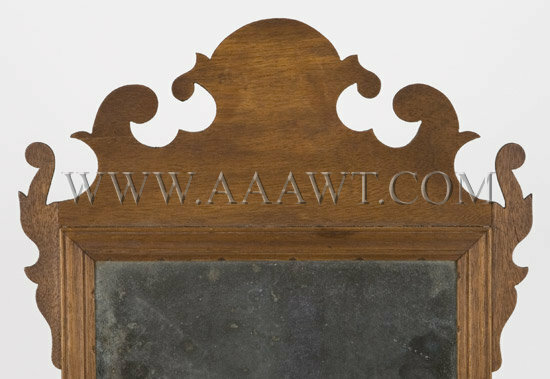 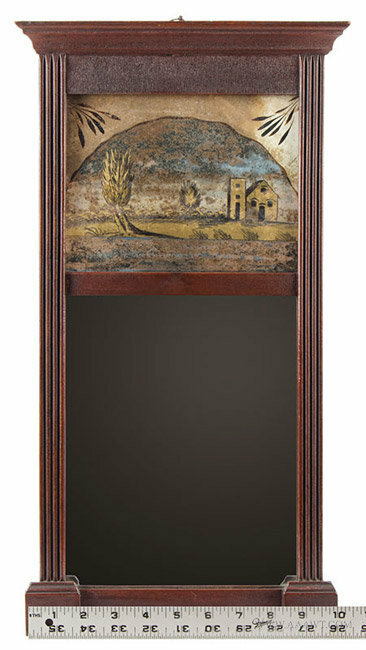 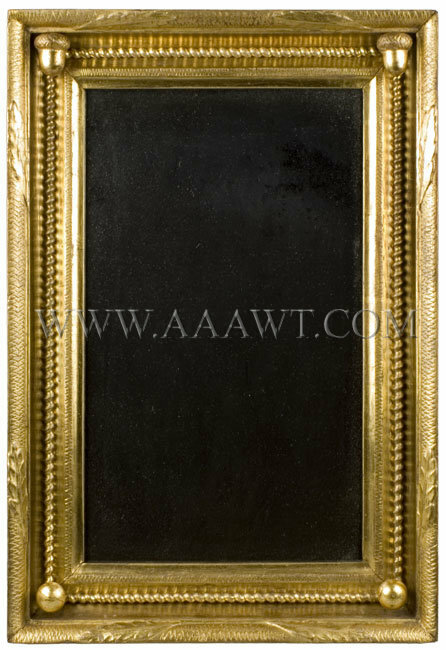 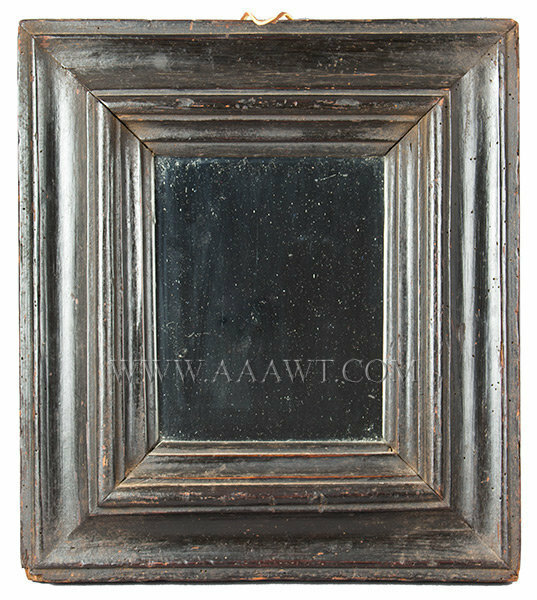 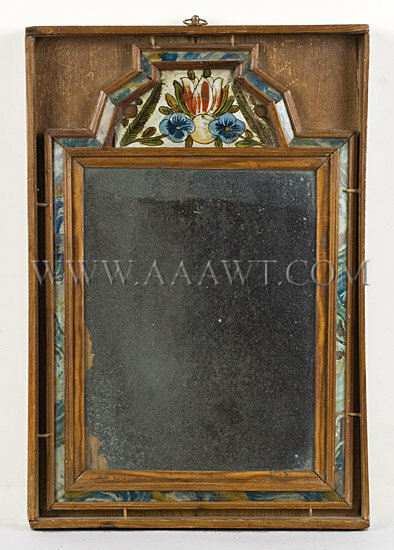 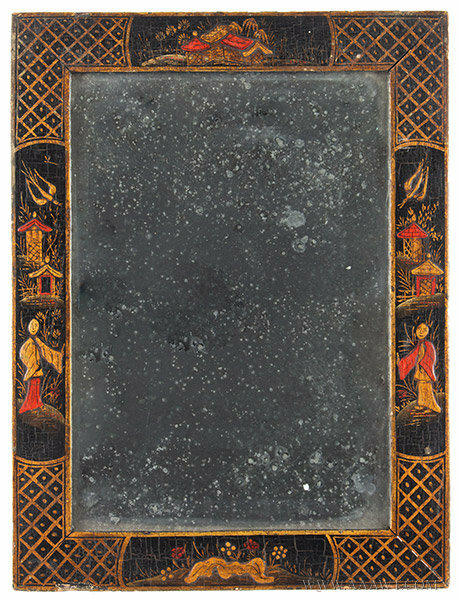 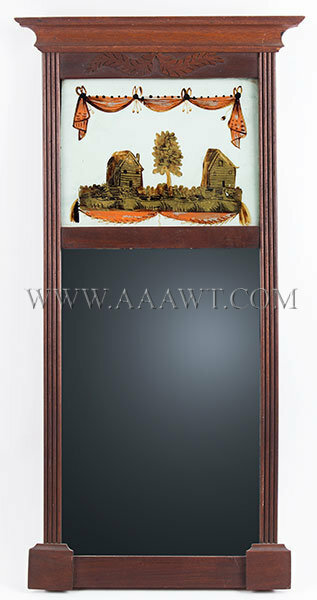 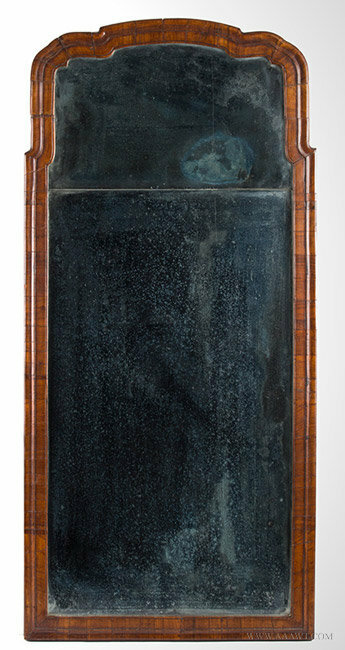 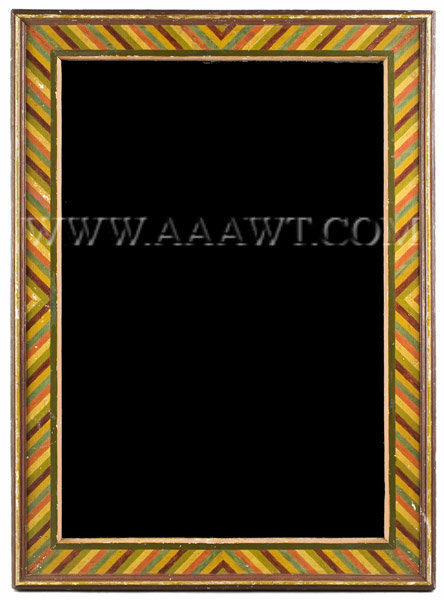 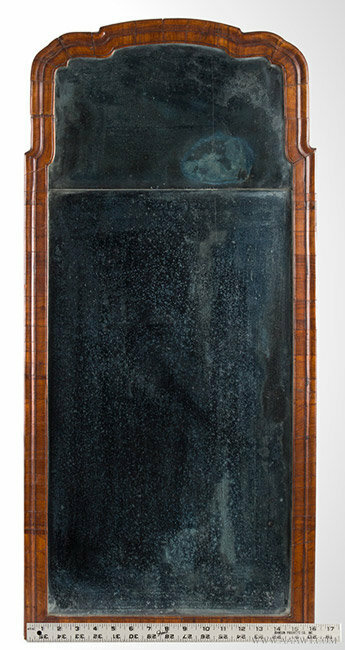 Late 18th century to early 19th century courting mirror in the original box with reverse painted tablet. 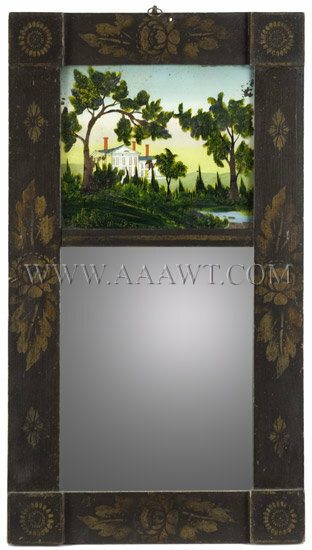 Dimensions: Box 16.5 by 11 1/8"; mirror 15.5 by 10.25". 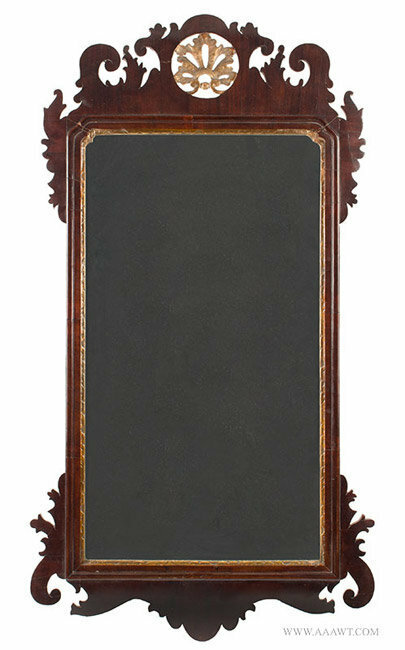 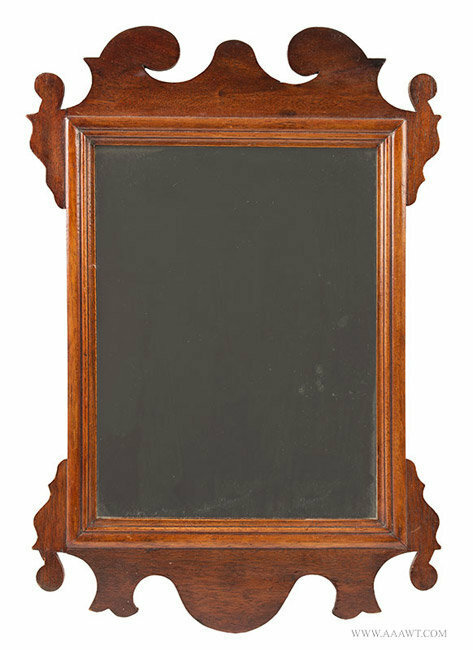 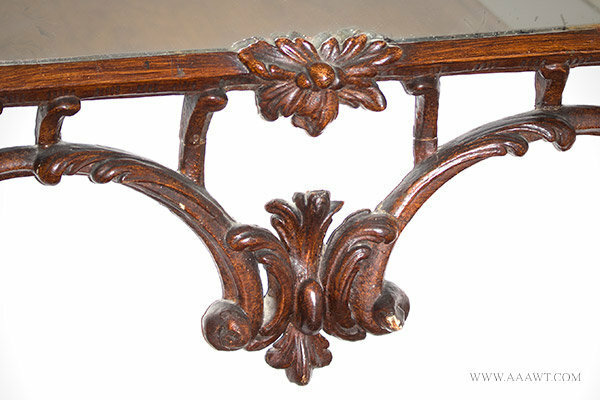 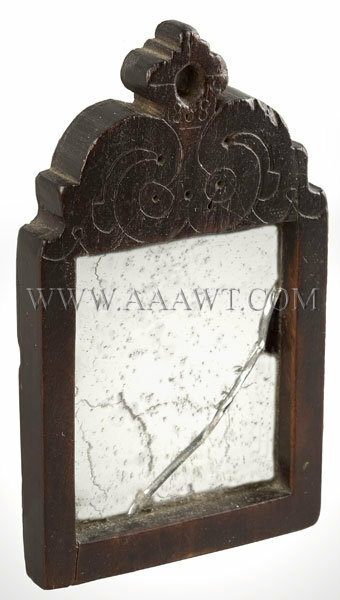 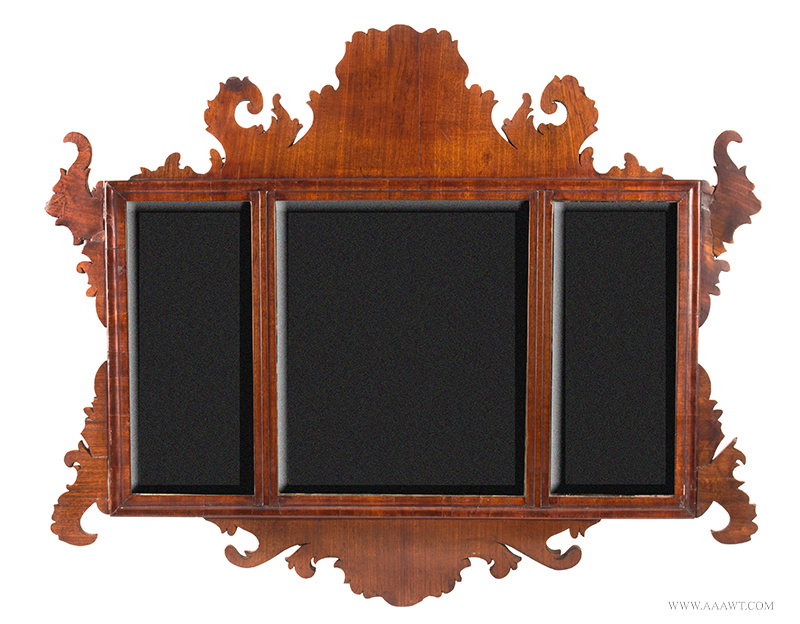 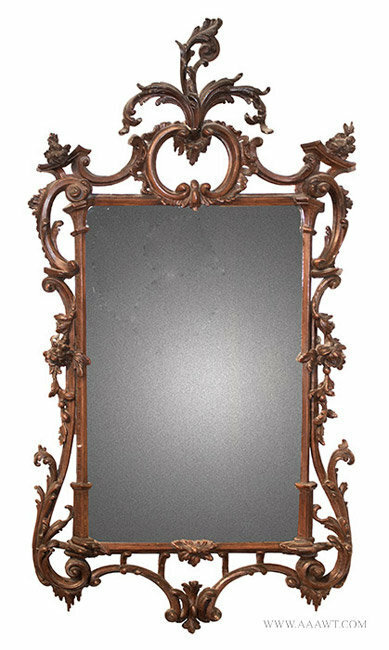 Small mahogany glass in original condition, including mirror. 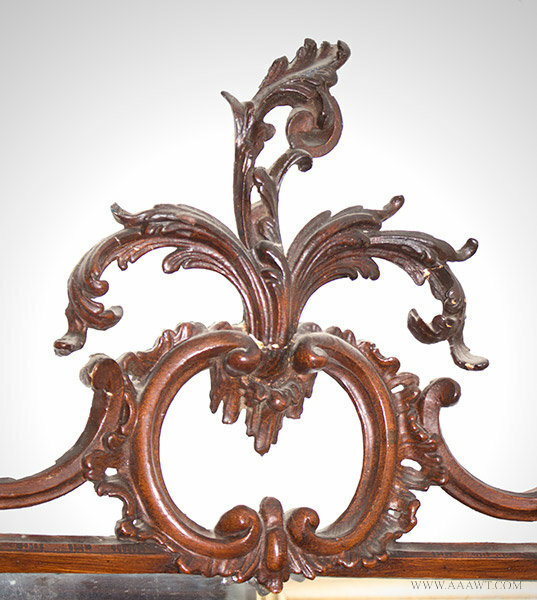 The crest has an unusual moth decoration. 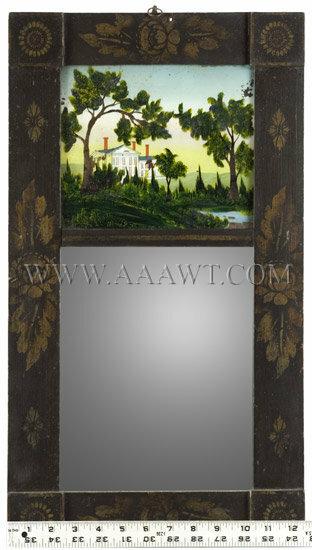 Dimensions: 13 by 9.25-inches.